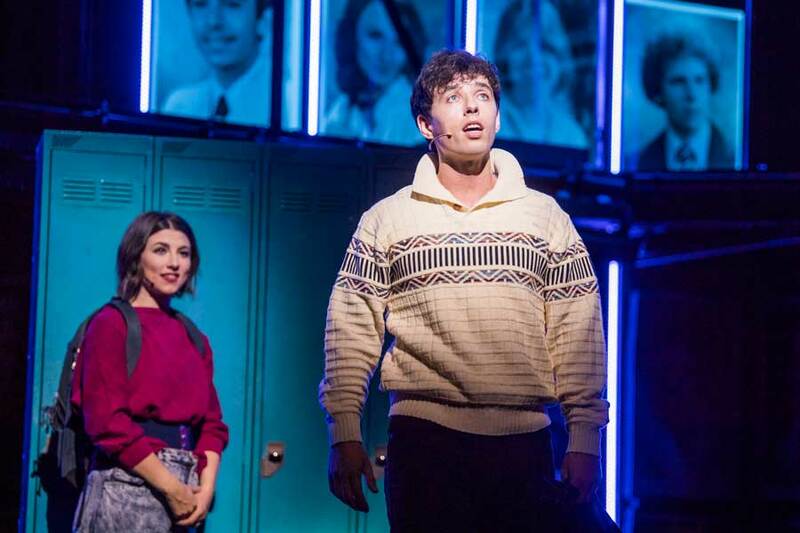 Douglas Mayo reviews Fame the musical which as now playing at the New Victoria Theatre in Woking as part of its UK tour. There’s an inundation of movie based staged musical at the moment. It seems that every major movie studio and theatre producer has cottoned on to the fact that you can use popular movie titles to help reduce risk by offering audiences a story that they know with a name they trust will give them a good night at the theatre. Some are quite literally just reproduced verbatim like Dirty Dancing, others use popular songs from the film and augment them with some extra material to give the stage version some dramatic content like Footloose, whilst shows like Fame start from scratch and use the basic concept with a new script and songs. Based inNew York’s legendary High School Of Performing Arts (or PA as it is affectionately known), Fame chronicles the lives and experiences of not only the students but the teachers of this iconic institution. Trying to capture the highs and lows of that experience is difficult enough on film but poses incredible challenges when you look at a stage adaptation. Jose Fernandez has written a script that is filmic in its approach. It’s incredibly frenetic and episodic, far too much so in the first act. Characters are whisked on and off and character development is abandoned. The second act is less of a whirlwind allowing a few central characters a chance to breathe and giving the audience a moment to care, but it way too little and far too late. As a result, the script never rises above a series of stereotypes, illiterate dancer, junkie singer, frustrated teacher. Characters that could be well developed and three dimensional aren’t. They aren’t helped by the songs provided by Steve Margoshes (Music) and Jacques Levy (Lyrics) which are predominantly bland and trite. There are a few numbers that almost rise to the occasion Let’s Play A Love Scene, Think of Meryl Streep, In L.A, These are My Children and Bring On Tomorrow are amongst those. It’s only the title song of the film used for the shows energetic encore that really hits hard. I’ve seen a few productions of Fame and Nick Winston’s is the best I’ve seen without doubt. On a simple set by Morgan Large featuring enormous headshots, the focus is very much on the talent without gimmicks and it pays off in droves. 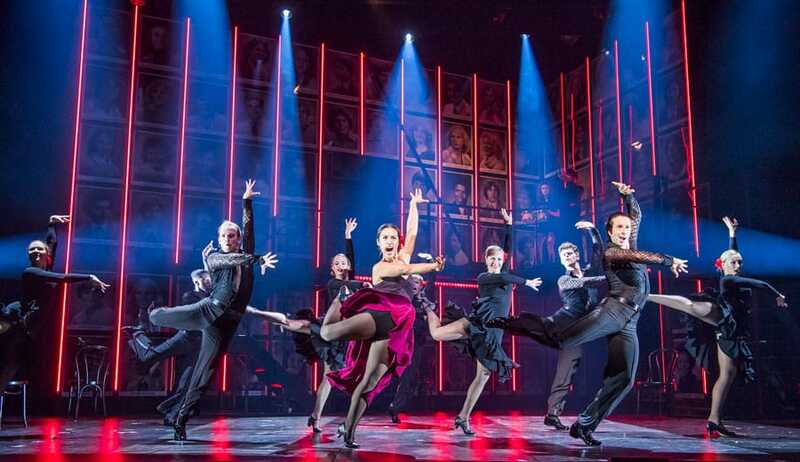 Winston’s direction and choreography are slick and uncluttered, book scenes effortlessly meld with songs and dance never allowing the show to get mired, always allowing the incredible cast to show their stuff. Mica Paris takes the character of caring but frustrated head teacher Miss Sherman in her stride. Her realistic take on the entertainment industry is something that perhaps should be pushed more with young hopefuls who thanks to television talent competitions all believe that stardom is there for the taking. Her tough exterior making way for a caring individual and Paris has the audience at her feet with her incredible rendition of These Are My Children. Never rushed, and perfectly realised it’s, without doubt, the highlight of this production. Keith Jack (Nick) and Jorgie Porter (Iris) show the two career-driven students in this class at PA. He is looking to develop an acting career having been in the industry superficially since childhood, she is looking to forge a dance career, both realise the challenges ahead. Porter shows her considerable dancing skills, whilst Jack shows off his leading man credentials with aplomb. No stunt casting here. 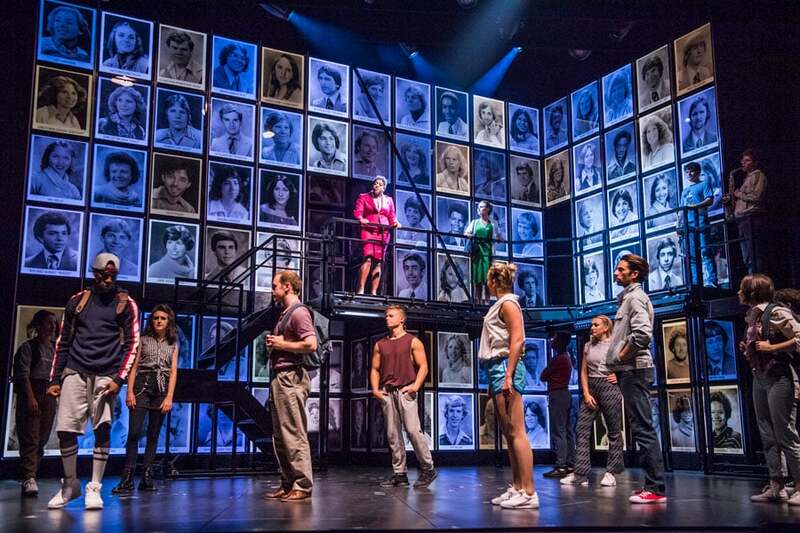 Fame’s incredibly talented cast delivers in droves. Simon Anthony’s Schlomo takes a character that could be beyond nerdy and makes him interesting and a real highlight of this production. Stephanie Rojas’s Carmen is gritty and her Act Two showstopper does exactly that, with well-executed book moments throughout that only serve to magnify the emotional impact of this cautionary tale. 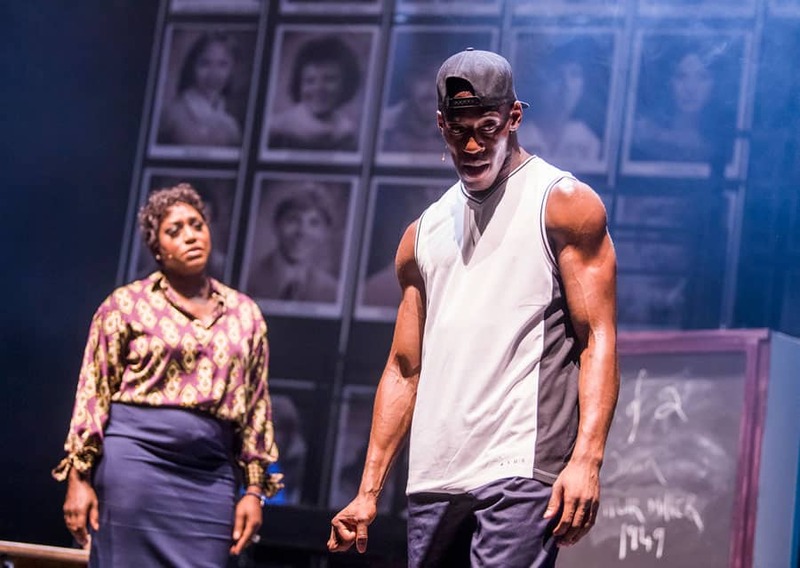 Whilst Jamal Kane Crawford’s Tyrone gives it 110% with stunning dance moments throughout and some book scenes which has enough light and shade to have you caring about this most charismatic of characters. The industry talk about triple threats (sing, dance, act) but some of these guys add on stage instruments to that skill-set which is impressive. Notable amongst these is Alexander Zane, Louisa Beadel and Tom Mussel whose onstage musicianship provide much-needed character to a sometimes bland orchestration. The onstage dance moments are given an extra show of pizazz by the tight moves and acrobatics of Morgan Jackson. 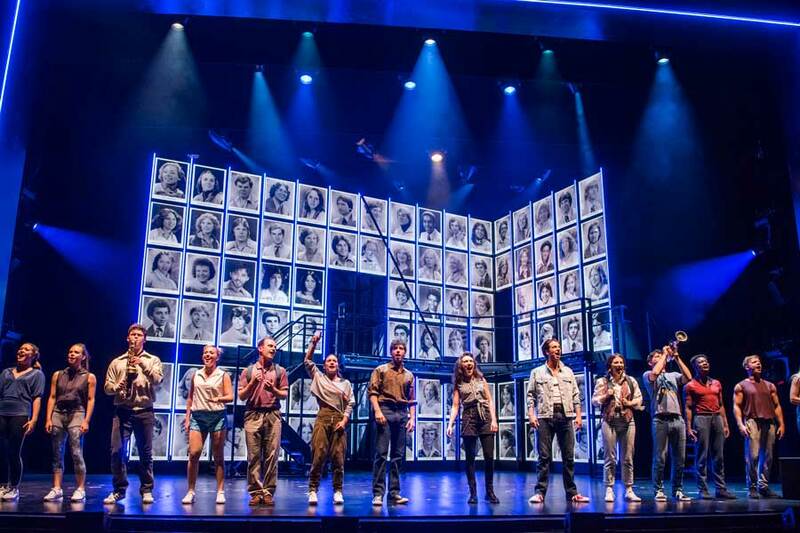 Touring a show like Fame must be a tough task, going from venue to venue, re-lighting, setting and getting the technical aspects of the production right for each house is never-ending. Given that last night was the first night in a new venue I am hoping the sound improves as the week goes on. Ben Harrison’s design was muddy at times and at other times had the feeling of a big stadium with overpowering reverb at other times vocals were lost to the band. Ultimately, Fame makes for a good night out at the theatre, but that’s largely due to this phenomenal cast and the skills of Director/Choreographer Nick Winston. It’s a level of talent that stop this show from getting mired and probably without realising, the show’s writers have given this talented cast the chance to show that real talent can actually lift an average show from its mediocrity.